I am finally getting to read a book on Genesis by John Walton. I've heard a lot about him and was rather ready to dive into some of his understandings about the opening chapters to the Bible. IVP was kind enough to send me a review copy of his latest book and I was eager to have some new ideas come across my mind (review). Unfortunately, the start left me pretty disappointed. The opening chapters of the book addresses Genesis 1 which is not the focus of the book. This is more review work and foundation laying but I'm still a little shocked at how thin it is. 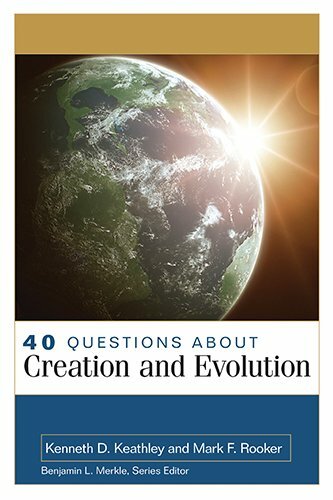 Having just finished 40 Questions About Creation and Evolution by Kregel Academic (review), I was well prepared to process what Walton wrote. I was aware of some of the criticisms given to his Genesis 1 approach. Walton's argument is founded on two things: affirm modern science and accept that ancient cosmologies should drive our understanding. For many casual readers and modern conservatives both of these things may be foreign. This presents a novelty to Walton's work that is fairly unrealistic in the scholastic world. This is true both scientifically and exegetically. That is not to dismiss Walton's argument but it recognizes Walton as a popularizer of these positions and not originator. I have issues with both of these things. I feel required to re-state upfront that I am no fundamentalists. I believe in Old Earth Creationism and even affirm a local (not global) flood. In many circles I'm a verified heretic. I would gladly accept more progressive science if I felt the matter was clear. Thankfully, I do not think it is. So I do not feel the urgency of Walton's view to see Genesis 1 as non-materialistic creation (hence opening the doors for forms of evolution). Walton's point is that when ancient creation texts are studied one finds a startling lack of concern about creation of material. Instead, these creation accounts are concerned with ordering a chaotic creation. The value in Walton's view would skyrocket if one was convinced by science about evolution. 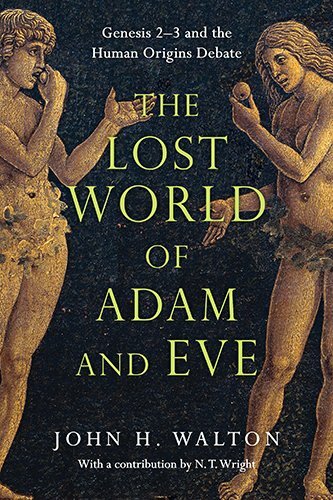 However, his pure exegesis in The Lost World of Adam and Eve of Genesis 1:1-2 is rather abrupt and shallow (it should be noted that his exegesis of Genesis 2 is significantly more detailed due to its role in the book). Instead, he seems convinced that pointing to ancient cosmologies should be enough proof for this brief overview. 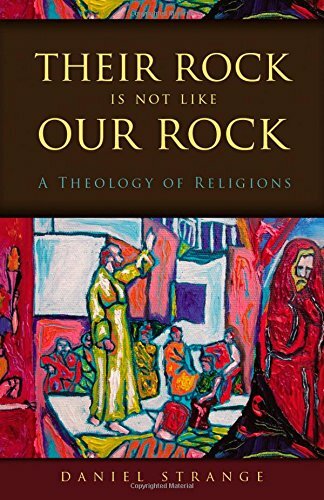 However, having just finished Their Rock Is Not Like Our Rock by Zondervan (review via GraceForSinners), I have reservations about the presuppositions of these religious cosmologies. Setting aside Genesis 1-3 for the time being, the Scriptures seem to make clear that God's revelation is both special (direct from Him) and general (encompassing all of mankind). This unique time period of God's revelation begins with Adam and Eve and extends through Noah. Even accepting Adam and Eve as merely mythological federal heads, and not a historical couple, does not remove the clarity of the text concerning God's revelation of Himself (for the record Walton does in fact believe in a historical couple). The point of Strange's much larger thesis is that the origins of these ancient cosmologies is in fact the same origins as the Scripture. All mankind received this general yet special revelation. So what accounts for the differences? Strange emphasizes mankind's rejection of God (Rom 1) and God's continual self-revelation to the Patriarchs and Moses. Walton remarks that the Genesis 1-3 account would make no sense to Adam and Eve (123-124) but that it reflects the conversations native to Israelites. This clashes with my understanding of the oral tradition through the Patriarchs such that the Hebrews in Egypt knew who their God was. So this strains the idea of God's special revelation throughout history before Israel and what type of knowledge Israel had of God before the writing of Moses. Admittedly, the Scriptural information is thin (Exo 1-3). I struggle to accept Walton's thesis that ancient cosmologies are similar enough to Israel's special knowledge to support a non-material creation paradigm. We know that their teleologies for mankind are different. Even Walton himself admits as much as The Lost World of Adam and Eve continues in Genesis 2. We know their teleologies for their respective creator(s) are different as well. So the conclusion seems simply. Study of the Scriptures through the lens of ancient cosmologies is valuable for linguistic studies but to adopt an entire worldview seems presumptuous. I understand why Walton does it. He is convinced of the science and he is looking for a way to protect the authorial intent and hence Divine authority of the Scriptures. Heck, if I become convinced of the science I'll gladly accept many more of Walton's propositions. But for now I'm going to sit back and enjoy Genesis 1 as the description of a very old materialistic creation. Editor's Note: This post is a part of the larger Torrey Gazette's "Creation Week."